Family Day 2019 Holiday Closure! We will be closed on Tuesday, Feburary 19th, 2019 to observe Family Day. We will reopen February 20th, 2019 for our normal hours. 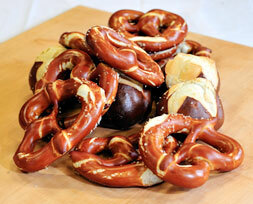 All Montmartre breads, bagels, muffins and soft pretzels are baked fresh daily, never frozen. 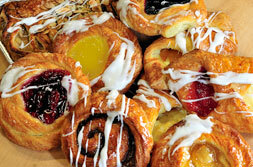 Whenever possible fruit-filled pastries are made using Ontario or Nova Scotia-grown fruit, with a special in-season selection of danishes and strudels. Products may be purchased at outlet prices, onsite at the actual bakery. Seasonal: Rhubarb Pie, Strawberry Rhubarb pie, Peach Pie, Italian Plum Streusel Cake, Pumpkin Pie made with fresh pumpkin squash. And of course our annually anticipated Christmas Stollen. 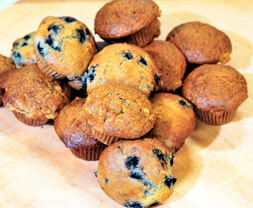 At Montmartre Bakery we use only the freshest, all-natural ingredients. A list of ingredients for every product is available upon request. 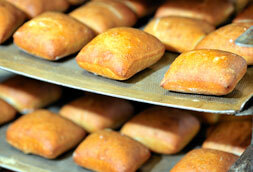 "We have purchased bread and pies from this store for over 20 years. Always very good bread, with a wide number of choices." Copyright © 2019 Montmartre Bakery. All rights reserved.